Jay helped open the doors of Renaissance Financial in 1994 and established the Employee Benefits Division the following year. 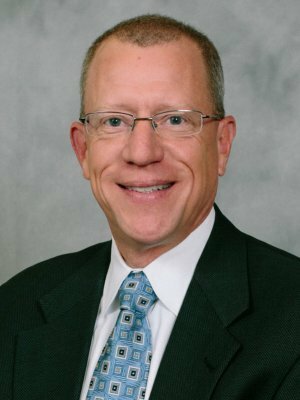 He has more than 25 years of experience in the insurance industry and is recognized as a key producer for Anthem Blue Cross and Blue Shield as well as United HealthCare of the Midwest, Inc. He also previously served on the National Broker Advisory Committee at United HealthCare. Jay is responsible for the development of new group business for the division along with continued service to existing clients. As a Shareholder of Renaissance, Jay has enjoyed seeing the firm grow over the years. He feels this growth has allowed him and his team to better serve their clients. Jay is truly passionate about what he does and ensures that each group has the correct benefits plan in place. Outside of the office Jay continues to serve his community. He is a member of Cornerstone Christian Church and a supporter of the Violence Prevention Center of Southwestern Illinois. Jay resides in Belleville, IL with his wife, Krissy.